Despite having a first class ticket to ride, some of comics best characters and concepts miss the train departing and often get left to aimlessly wonder the platform, dead or even worse all but forgotten. Fortnightly in Lest We Forget, I pluck one of those comic-limbo-lingerers from the station and pimp their need for a comeback. 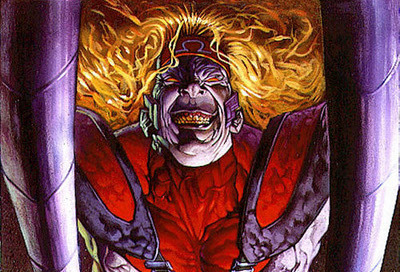 This time around it's the Soviet slaughterhouse himself; Omega Red. Sure Arkady Gregorivich Rossovich is currently stoking the fires of hell after been skewered by Wolverine, but death has never stopped him before. 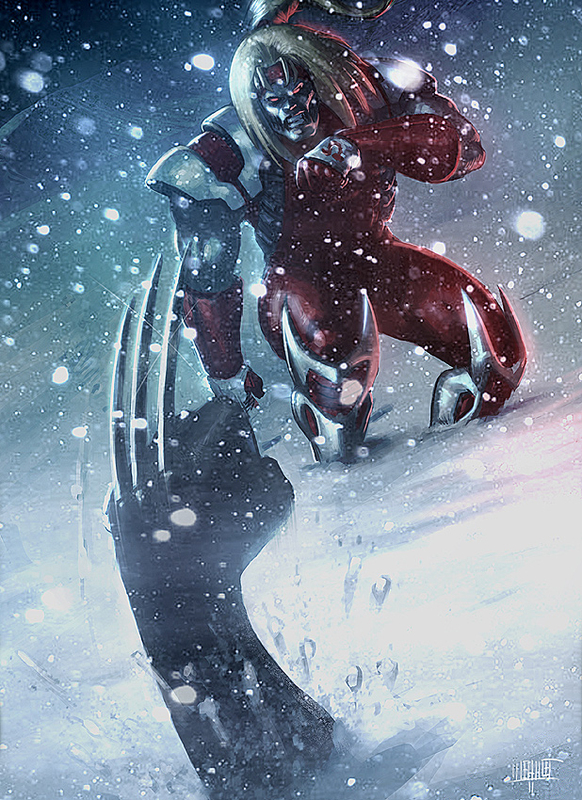 Shot in the head execution style, the Russian soldier turned serial-killer was saved by his latent mutant healing powers and adopted into the darkest reaches of the KGB – where they attempted use Arkady to create their own super soldier, Omega Red. Where Rossovich once took life with his bare hands, he now finds the retractable carbonadium tentacles implanted in his arms capable of syphoning his prey's life essence for him. Uncontrollable even by Soviet forces, the now chalk white skinned Red has survived cryogenic suspended animation and even working for The Hand - all the while searching for enough Carbonadium Synthesiser to prevent his implants from killing him. HOW I’D BRING OMEGA RED BACK: The Mandarin is out to take back control of The Hand's global operations. With Omega Red at his side, the iron hand of the Mandarin sweeps forward like never before - with those who don't align themselves falling at the feet of his savage second in command. Promised the Soviet arm of the operation for his allegiance, Omega Red is set to collide with forces rushing to contain his thirst for power - namely Iron Man, Wolverine and Psylocke - the woman once dubbed Lady Mandarin! by far one of my favorite X-Foes. I didn't realize they'd killed him off. I'm less and less a fan of the death-defying returns the older I get, but I'd love a flashback issue. Or a rebirth in the Marvel Ultimate universe. Thanks Craig! I'd love the x-foes to face non X-Men opponents a bit more, and Omega Red is definitely one of them. Spider-Woman infiltrating an undiscovered Master Mold factory, Sabretooth crossing paths with War Machine, there are some really cool match-up's that would be really great to see. Speaking of great to see though I hope anyone reading this gets to check out Omega Red in the latter issues of Joe Kelly's run on volume one of Daredevil. Not only did it pit Reddy against the Man Without Fear and the Black Widow - it was all drawn by Gene Colan - and that is reason to buy in any man's language!